With the upcoming legalization of Cannabis in Canada and some states in the US, proper and secure packaging has been a concern. Labelpak is working to provide child proof packaging to be in compliance with the upcoming regulations. This product is unique as it takes this to another level, with a two handed approach and some force required to open it. 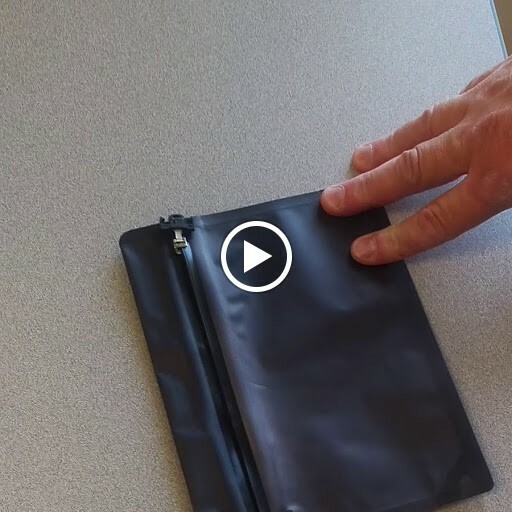 It creates another level of security for pouches, These are blank, but they can be printed ( with the standard warning requirements) with a Minimum Order Quantity (MOQ) of 8,000, sizes can be custom manufactured to suit your specific requirement. Give us a call and we can work up a custom program for your packaging needs.